Transitional styling! 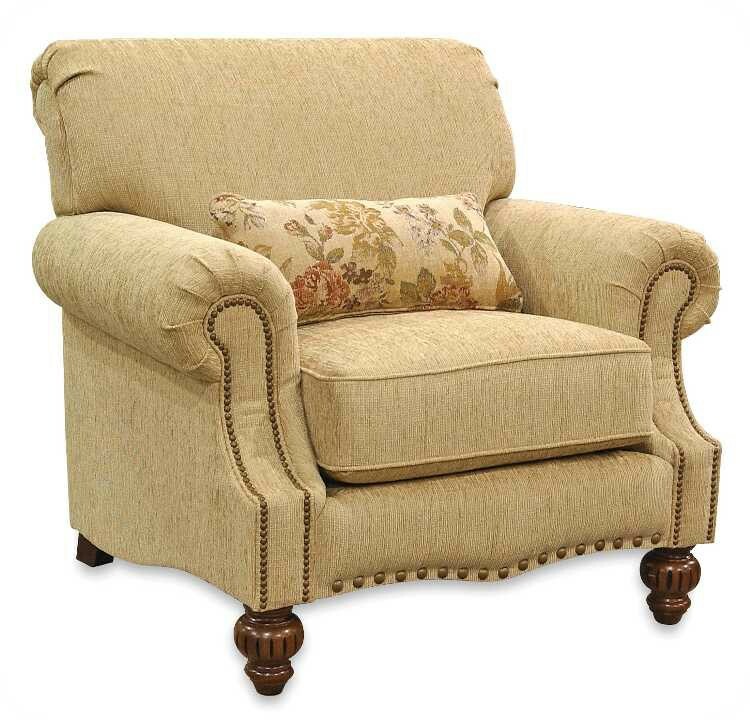 Ultimate style and comfortable seating are yours in this transitional style chair. 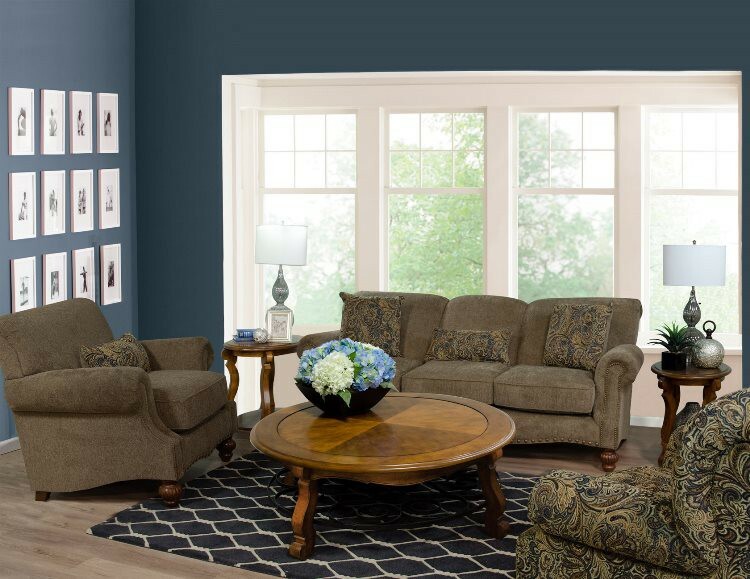 Features a high back with a semi attached back Cushion over a box end Cushion arm accented with small nail head trim, front rail accented with larger nail head trim, all help turn this classic transitional style into a work of art. 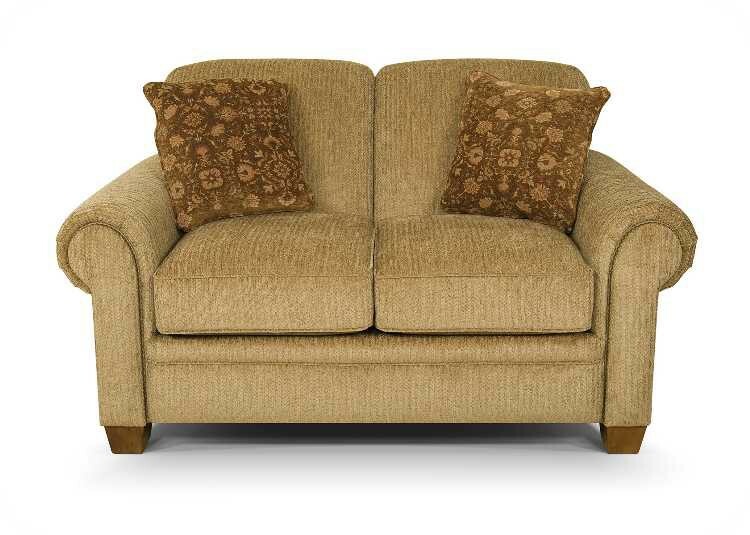 A kidney pillow, two square throw pillows, and beautiful wooden sculptured legs add the finishing touches. 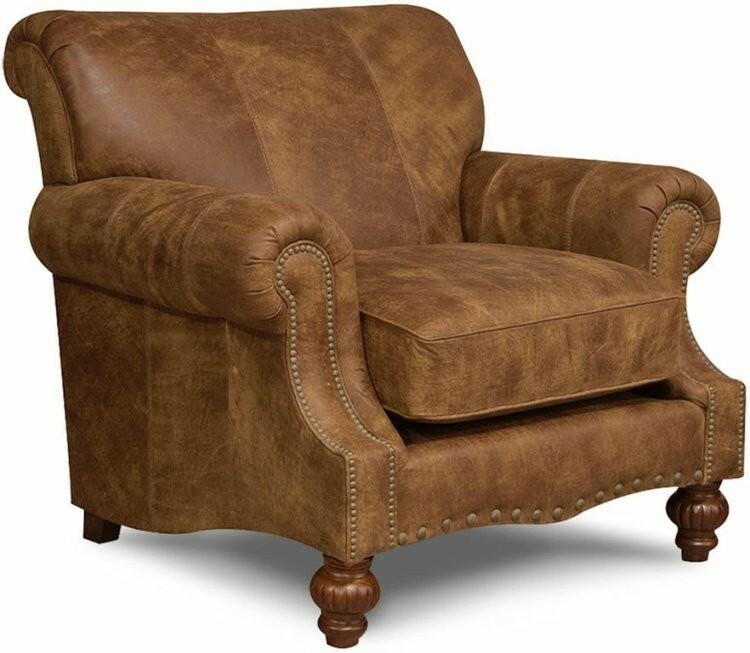 Benwood is also available in leather-fabric, see Loudon.